The hackneyed myth that wind power “powers” millions of homes with wonderful “free” wind energy is taking a beating around the globe (see our post here). The idea that a wholly weather dependent power generation source can ever be – as is touted endlessly by the wind industry and its parasites – an “alternative” to conventional generation is, of course, patent nonsense. If there wasn’t already a complete power generation system built around on-demand sources, such as gas, coal, nuclear or hydro – then a country trying to run on wind power would – unless it was keen to revisit (or remain in) the stone age – inevitably need to build one (see our post here). So far, so insanely costly, and utterly pointless. At STT the term “powering” means exactly what it says: that when someone – at any time of the day or night – in any and all of the thousands of homes claimed to be “powered” by wind power – flicks the switch the lights go on or the kettle starts boiling. The wind industry never qualifies its we’re “powering thousands of homes” mantra by saying what it really means: that wind power might be throwing a little illumination or sparking up the kettle in those homes every now and again – and that the rest of time their owners will be tapping into a system of generation that operates quite happily 24 x 7, rain, hail or shine – without which they’d be eating tins of cold baked beans, while sitting freezing (or boiling) in the dark. Glenn R. Schleede spent more than 35 years dealing with energy related matters in the government and private sector in the US. He’s put pen to paper numerous times on energy policy, and hammered the patent nonsense that is the great wind power fraud, just once or twice. In this piece from 2009, Glenn belts the wind farms are “powering millions of homes” myth clean over the long boundary for an easy 6 – although in the US, wind power outfits apparently use the term “homes served” instead of “powered”. But, whatever the moniker, the bogus claim just hasn’t got the legs to withstand even the mildest scrutiny. 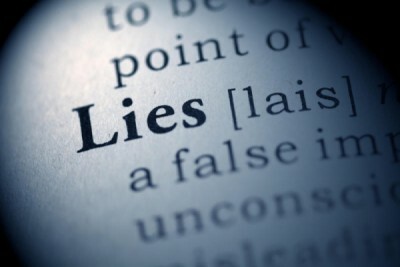 Anyone using the phrase “homes served” to describe the potential output from one or more wind turbines is demonstrating that he or she (a) doesn’t understand the facts about wind turbines, (b) believes false claims from the wind industry, or (c) is trying to mislead their reader or listener. False statements about “homes served” by wind turbines are not the only – and certainly not the most important – false claims regularly made by wind industry developers and lobbyists. But they are annoying when politicians, naïve reporters, and others adopt and regurgitate them. Divide the assumed annual production of electricity by the estimated annual average residential electricity use. While misleading, the concept, “homes served” has some validity when used to describe the output from a reliable, “dispatchable” electric generating unit; i.e., one that can be called upon to produce electricity whenever it is needed. Such generating units are the ones that are counted on by the electric industry to provide a reliable supply of electricity for customers every day, at all hours of the day, year around. No homes are really served by wind . In fact, NO homes are served by wind energy because wind turbines produce electricity only when wind speeds are in the right speed range (see below). Homes using electricity from wind must always have some reliable energy source immediately available to provide electricity when there is insufficient wind unless the residents are content to have electricity only when the wind is blowing in the right speed range – a condition that few in America are willing to tolerate. Electricity from wind turbines is inherently intermittent, volatile, and unreliable. Wind turbines produce electricity only when the wind is blowing within the right speed range. Wind turbines typically start producing electricity at around 6 mph, reach rated capacity about 32 mph, and cut out about 56 mph. Unless a home owner has an expensive battery storage system, such volatile and unreliable output wouldn’t be suitable for lights, heating, computers, appliances, or many other purposes. Electricity from “wind farms” is seldom available when most needed by home users. Again, the output of wind turbines is dependent on wind conditions. Depending on the specific area, winds tend to be strongest at night in cold months. However, electricity demand in most areas of the US is heavily concentrated during daytime and early evening hours. Even worse, wind turbines cannot be counted on to produce at the time of peak electricity demand which often occurs on hot weekday late afternoons in July and August. At the time of peak electricity demand, wind turbine output may be in the range of 0% to 5% of rated capacity. The electricity produced by wind turbines is low in value compared to electricity from reliable generating units. That’s because it is inherently intermittent, volatile, unreliable, and not available when most needed – as described in paragraphs 2 and 3, above. Claims of “homes served” by wind energy are additionally misleading because of the high true cost of electricity from wind turbines. Claims that the cost of electricity from wind turbines is “competitive” with the cost of electricity from traditional sources are false. Such claims typically do not include the cost of (a) the huge federal and state tax breaks available to “wind farm” owners, [iv] or (b) the cost of providing the generating capacity and generation that must always be immediately available to “back up” intermittent, unreliable wind turbine output and keep electric grids reliable and in balance. Any use of the “homes served” assertion in connection with a “wind farm” should be challenged, whether the assertion is from a wind industry lobbyist, other wind energy advocate, political leader, other government official, or reporter. They should be required to explain each of their assumptions and calculations, and admit that industrial scale wind turbines are useless unless reliable generating units are immediately available to supply electricity when wind is not strong enough to produce significant electricity. Almost certainly, their assertions will be false. What valid claim could wind industry officials make? As explained above, wind industry developers, promoters, and lobbyists – and politicians and reporters – should never use the false and misleading “homes served” metric. In theory, they could justify an assertion that the estimated amount of electricity produced by a “wind farm” – once discounted for line losses which are likely to be in the range of 5% to 10% – may be roughly equal to the amount of electricity used annually by x homes – after doing a calculation such as that outlined earlier. However, as indicated above, even this assertion would be misleading because it ignores the fact that the output from wind turbines is intermittent, volatile, unreliable and unlikely to be available when electricity is most needed. It is low or competitive in cost when, in fact, its cost is high when all true costs are counted. It is environmentally benign when, in fact, it has significant adverse environmental, ecological, scenic, and property value impacts. It avoids significant emissions that would otherwise be produced when, in fact, it avoids few. It provides big job and economic benefits when, in fact, there are few such benefits. Reduces US dependence on imported oil when, in fact, it does not. Reduces the need for building reliable generating units in areas experiencing growth in peak electricity demand or needing to replace old generating units, when the opposite is true. Such claims as these have been made often during the past decade or more by the wind industry and other wind advocates. Only during the past 3-4 years have these claims begun to be demonstrated as false and misleading. The facts about wind energy are beginning to show up in the media but, unfortunately, have yet to be understood by most political leaders and regulators. [ii] Assumptions about output from proposed “wind farms” start with the rated capacity of the wind turbine(s) in kWh, multiplied by the number of hours in a year (usually 8760) and multiplied by the wind turbine(s)’ assumed “capacity factor.” In fact, actual capacity factors can be known only on an after the fact basis. “Capacity factor” is calculated by dividing actual annual production in kWh by 8760 (hrs per year) times the rated capacity of the turbine(s) in kW. Another wind industry lie ‘dispatched’ over the long boundary. Blight for Naught is how I see wind power in the long run. It’s a big, costly blunder that yields few benefits to society and mostly negatives for nature. In 10 or 15 years, most new employment in the wind industry will hopefully involve dismantling work and the restoration of views. Adam, it’s a ‘point’ that wind-worshippers refuse to acknowledge, with guff about the wind always blowing somewhere; the wind is ‘free’ etc, etc. Keep perusing our site for more and broader insights. There are numerous articles on a range of topics under the ‘Wind Power Fraud’ tab.